Guide price is per person. Based on 2 people sharing for 7 nights on Half Board. Flying from selected regional airports with year round departures. 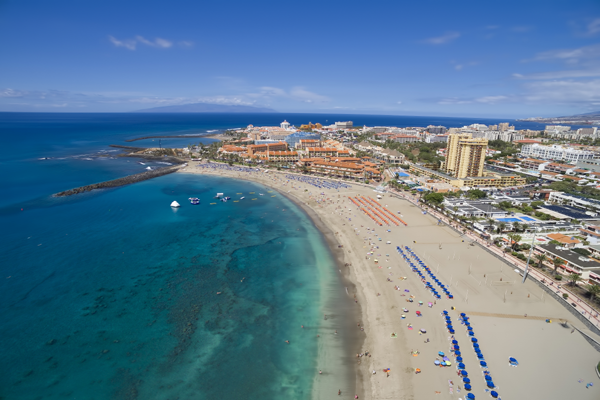 Tenerife holidays have been popular since the 1970’s and the popularity has not wavered one little bit. The island is constantly developing and has a fantastic range of hotels and apartments that offer something for all budgets. Holidays to Tenerife can be enjoyed all year round where hot summers give way to warm winters and the activities on offer on the island are available at anytime of the year thanks in large to the year round sunshine. 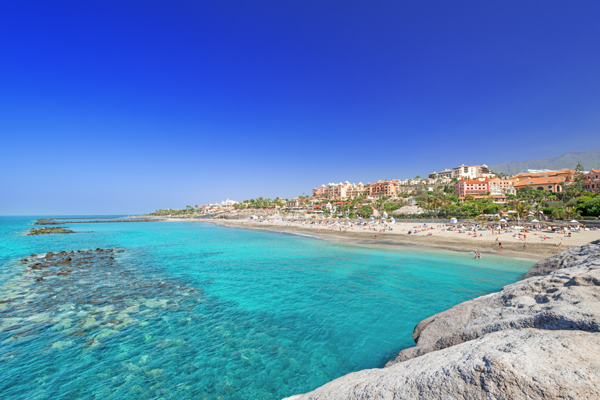 With great beaches, international hotel chains, loads of good places to eat and drink as well as a wide range of shopping, you will never get board on a holiday in Tenerife. Tenerife offers something for all ages, budgets and tastes. You may be looking for a cheap last minute holiday or something more luxurious such as a spa break or adult only retreat, this fabulous island is an ideal destination for tourists wanting an easy get away. Having such a reasonable flight time of approximately four and a half hours, it is an ideal choice for family holidays, friends who want to party, couples looking relax or for filling your days with watersports and other activities. The original party town of Playa de las Americas still has all the nightlife you could wish for, however the resort has continued to grow and now links up with Los Cristianos to the south and Costa Adeje to the north where over the past twenty years or so a huge amount of development has taken place. Hotels range from no frills to ultra luxury. The modern resort of Costa Adeje in particular has grown from a small area of Playa de las Americas into an international resort with a superb choice of hotels stretching almost as far north as Playa Paraiso. Facilities in the area include aqua parks, water sports on the beach, golf courses and a great range of bars and restaurants. The cosmopolitain resort of Puerto de la Cruz on the north of Tenerife is also a good choice and is particularly popular with couples and along with Playa De Las Americas was one of the first resorts to open to tourists. The sea front offers a man made lido and there are lots of shops, bars and restaurants to keep you busy during your holiday in Tenerife. The resort is in a dramatic setting with a mountainous backdrop that slopes into the sea and is a lot greener than the southern resorts. Many people take advantage of being on an island and hire a carf during their Tenerife holiday and explore the towns and the impressive Mount Teide. A good road network is backed up by a good bus service which enables you to get around really easily if you do not like driving overseas. 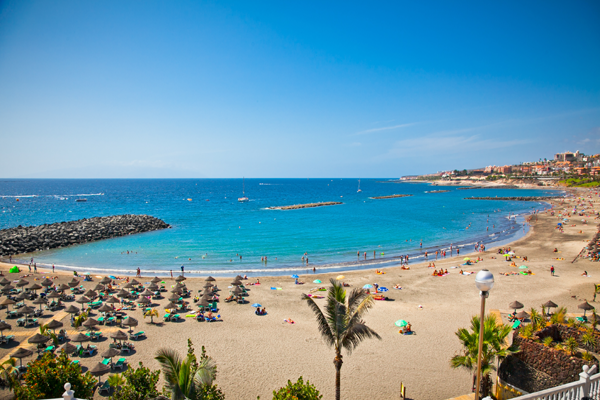 Holidays in Tenerife are available all year round from most UK airports; many airports offer multiple flights a week and mean that you can have a short break, a two week break or long stay holiday during the winter months. Search our site for cheap package holidays today by using the search on the left of the page or call us and speak to one of our helpful sales team who can offer suggestions or advice.